I really like this story, although I'm not crazy about the narrator's performance. A great take on the time travel concept! 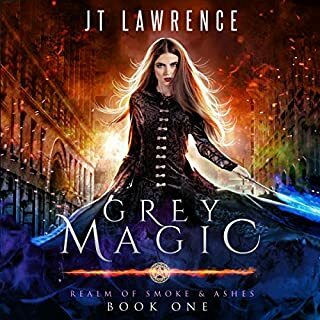 Having read Grey Magic numerous times, I knew that I was in for a brilliant story. 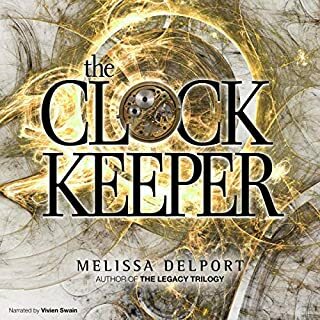 Add a magical narrator - and this she definitely is - and you have an authentic-sounding, cleverly original maiden voyage into the world of magic realism. I loved listening to each of these 36 stories. An excellent bargain for anyone who enjoys short stories/short fiction with a bit of a twist and a slice of dark humour. Both narrators excell at reading these stories and are perfectly matched with the content. I loved this collection of short stories just as much as I did the first one. I liked that the tone of the stories vary - from psychological thriller to comedy to True Detective-style investigative drama and a Christmas story unlike any that you've probably heard about or listened to. JT doesn't shy away from descriptions of mental illness, trauma, and the darkly dystopian worlds that she envisions. Although these stories, like all of JT Lawrence's books, are easily relatable on a global scale, I love the nod to the author's South African background in the story entitled Kakkerlak, or Cockroach. 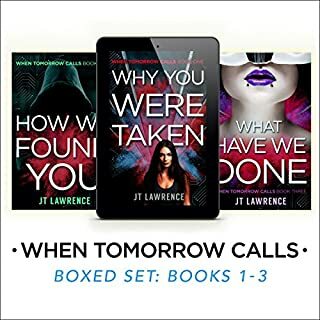 As with Lawrence's When Tomorrow Calls series as well as the first Sticky Fingers collection, narrator Roshina Ratman is the perfect narrator, and she captures the varying tones of stories perfectly as well as she does the characters. A brilliant listen, I highly recommend this! As a prequel to Lawrence's When Tomorrow Calls series, this book excels. Perfectly paced, the story - told for the most part from Kekeletso 'Keke's' perspective - provides lots of answers, clues and a tantalizing hint or two in relation to future developments in the series. 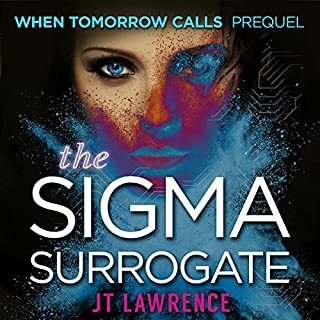 But as much as Sigma relays background information, it stands strongly as a complete story in itself, and is a great new first book (and look) into JT's series. The book's short chapters and overall short length both make listening easy. What makes the listening experience harder, however, was the performance of the narrator herself. I have no objections to US narrators reading South African books - as long as they do their homework with unfamiliar-sounding words and not butcher them. Names of places were mispronounced, particularly Magaliesburg and Johannesburg, but the handling of the proper name 'Mandla' bugged me most of all. There are also a couple instances of incorrect enunciation that brought down the quality of an otherwise excellent series. I loved listening to this collection. Set in the futuristic, dystopian landscape of Johannesburg - thriving metropolis and melting pot of South Africa - JT Lawrence blends the new and sparkling advancements of the future she's imagined with the familiar, grounding elements that anchored me to the present day. In this world, the world of tomorrow, our deep-rooted problems are still very much in evidence. Infertility, chronic diseases, mental illness, undrinkable water - check. Fear of AI rebellion? Oh, yes. Boredom factor? zilch. Suspense? 110%. Enjoyment? Absolute. In short, this boxset is an amazing bargain. Start listening today!